Goa Chief Minister Manohar Parrikar on Monday afternoon left for Mumbai's Lilavati Hospital for further treatment, leaving a committee of three senior cabinet ministers in-charge of the coastal state's administrative affairs and with an assurance of conducting cabinet meetings via video conference. The Chief Minister's Office also said that Parrikar could be shifted to a health facility overseas, if doctors at the Mumbai hospital recommend it. "Today, the Chief Minister is travelling to Mumbai for further medical check-up and, based on his doctor's advice, may travel overseas for further treatment," a statement issued by the CMO said. On a day of hectic developments, Parrikar conducted a series of meetings with top ruling politicians, bureaucrats and police officials in the state, where he spelled out instructions related to governance. Among key cabinet ministers who met him were Agriculture Minister Vijai Sardesai of the Goa Forward Party and Urban Development Minister Francis D'Souza. The two ministers, along with Public Works Department Minister Sudin Dhavalikar, who was in Delhi on Monday, will form a three-member committee which will take a call on administrative decisions to be taken in the Chief Minister's absence. "He has also told some ministers, who met him today (Monday), that cabinet meetings would be conducted via video conference," a cabinet minister who met the Chief Minister on Monday said. "The three-member team will have the power to sanction works up to Rs 5 crore, while each individual minister has been empowered to sanction work contracts up to the tune of Rs 50 lakh each," Arts and Culture Minister Govind Gawde told reporters after meeting the Chief Minister. 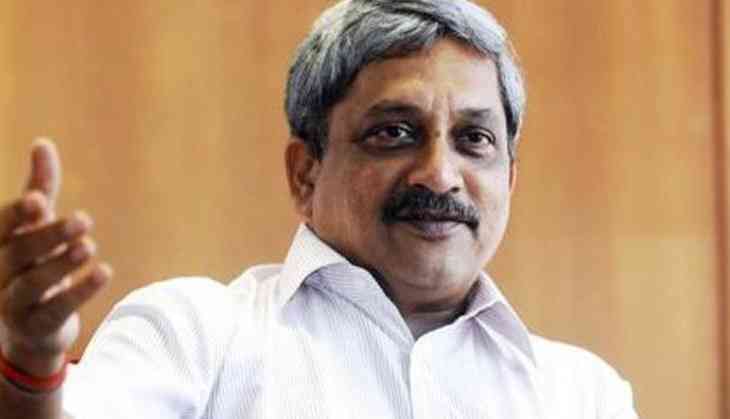 Parrikar was on February 15 rushed to the Lilavati Hospital in Mumbai, where, according to the Chief Minister's Office, he was diagnosed for "mild pancreatitis". Parrikar returned on February 22, to deliver a truncated budget speech, two days after which he was shifted to the Goa Medical College and Hospital, near Panaji, for dehydration and low blood pressure, according to another official statement. Parrikar was discharged from the hospital on March 1 and has been recuperating at his private residence near Panaji. Earlier on Monday, the Chief Minister's Office also released a photograph of Parrikar wearing a pair of shorts, meeting Chief Secretary Dharmendra Sharma and Principal Secretary to the Chief Minister P. Krishnamurthy at his private residence where he instructed the duo on "urgent and important matters" related to the state.